One of the few pieces singled out in the course of the 60s to spotlight Hank’s ballad technique on stage, his sensitive handling of this lovely tune, the lead lines set off by Bruce’s trademark arpeggio runs, certainly impressed audiences of the day. 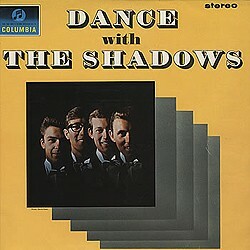 The Ventures do what they often do with serene material of this nature and up the tempo to brisk. Though hardly a contender for one of their all-time greats, it works pretty well, providing an invigorating listen at high volume levels (benefiting maybe from a slight degree of bass lift). 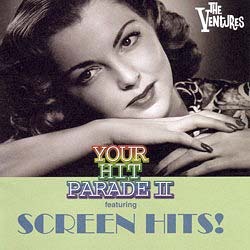 One of the more attractive tracks on this recent rather uninvolving set of “Screen Hits”, as the disc is sub-titled.